You are a complete person with thoughts and dreams and your own, unique personality, but it can be hard to hold onto yourself in a world that tells you to just keep waiting until the right guy comes along. Is this really the purpose of your single years? 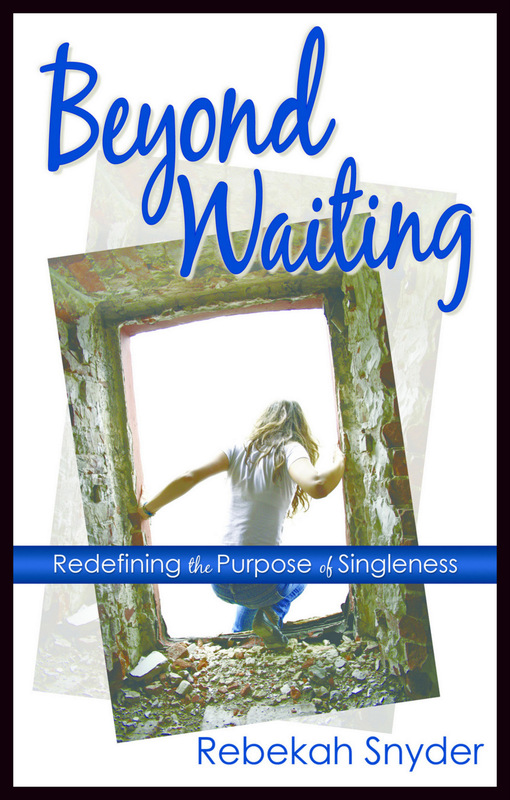 In Beyond Waiting, you’ll discover the true meaning of the word wait and learn why life can be so discouraging if all you’re doing is pursuing that ever-elusive Prince Charming. A fresh spin on the fairytales you grew up with will have you yearning for more than happily ever after as you dare to step into the journey that lies within your once upon a time. You were meant for so much more than merely waiting. So brace yourself for the most beautiful fairytale ever written – yours. Order now at Amazon or Barnes and Noble. Is there a place I can pre-order the book? Sadly, no. But the official day (May 3rd) is fast approaching. Wow. I really want to read this book! Hi Rebekah! I just finished “Beyond Waiting”. I just want to say thank you for writing this book. You’ve opened my eyes and after 8 years of hanging onto someone who is not “the one” for me, I am able to let him go and move on. What peace I have!! Thank you, thank you, thank you! God Bless! Wow, Jennifer. You just made my day. Thank you so much for sharing how Beyond Waiting has become a part of your story. I’m so thankful that God could use me to help you in some way. Stay strong and keep seeking the Ultimate Prince of the Fairytales! Hi, Rebekah! I really would like to read your book but I`m from Brazil and search it in some libraries site`s here but I didn’t find. I tried to see how much will cost to me buying in the amazon but I didn’t find too. Once I read “I kissed dating goodbye” by Joshua Harris and love it, and I think that your book will build my faith too. So, can you help me someway? Thanks in advance. Thanks so much for taking the time to comment. I’ll check with my publisher and see if they know of a way for you to purchase it.